We’d love your help. Let us know what’s wrong with this preview of The Laugh Out Loud Joke Book by Michael Rosen. 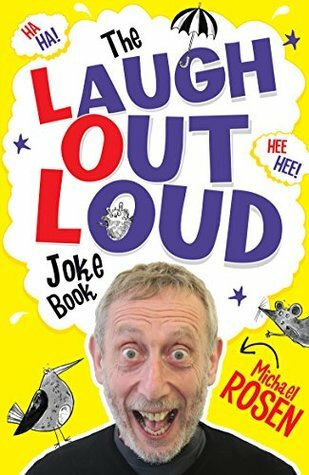 The Laugh Out Loud Joke Book is jam-packed with over 300 hilarious jokes written and selected by bestselling children's author Michael Rosen. In association with the new Laugh Out Loud Book Prize - a new series of awards for funny children's books in the UK. To ask other readers questions about The Laugh Out Loud Joke Book, please sign up. Michael Rosen, a recent British Children’s Laureate, has written many acclaimed books for children, including WE'RE GOING ON A BEAR HUNT, illustrated by Helen Oxenbury, and I’M NUMBER ONE and THIS IS OUR HOUSE, both illustrated by Bob Graham. Michael Rosen lives in London.